Congregations who follow the lectionary have been spending time in the gospel of Matthew this year. Two weeks ago, the text was from Matthew’s account of the Sermon on the Mount when Jesus tells his followers, “You are the light of the world.” Notice that he isn’t offering an aspiration – “you should try to be the light of the world—but an affirmation: “you are.” Jesus isn’t commanding us to become something, but commending us for what we already are: the light of the world. I believe that now, more than ever, the Maine Council of Churches needs to remember we, too, are the light of the world. At night, the human eye can see the light from a single candle from as far away as two miles. The darker the night, the more clearly the light can be seen, and the more dearly it is needed. 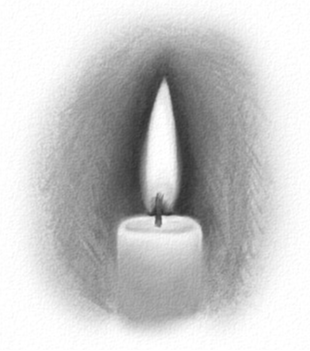 We mustn’t forget that, especially at the darkest hour, even the smallest light, the flicker of just one candle’s flame, can be seen for miles around. During these difficult times, it is easy to feel overwhelmed or discouraged as we are pulled in so many different directions: to resist, to speak out, to react, to express outrage, to feel compassion, to stand in solidarity. But as a candle’s flame stays centered on the wick that provides its source of fuel, we must stay centered in our calling and in the One who calls us, to inspire others to join in building a community of compassion, justice and peace. You are the light of the world. A city built on a hill cannot be hidden. No one after lighting a lamp puts it under the bushel basket, but on the lampstand, and it gives light to all in the house. In the same way, let your light shine before others, so that they may see your good works and give glory to God in heaven.